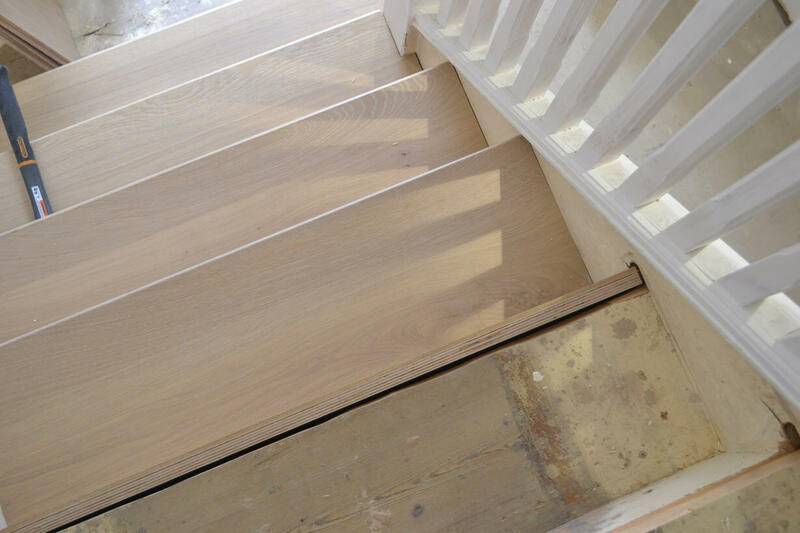 These clients wanted new flooring throughout the house, ground floor, first floor and in the new loft conversion. 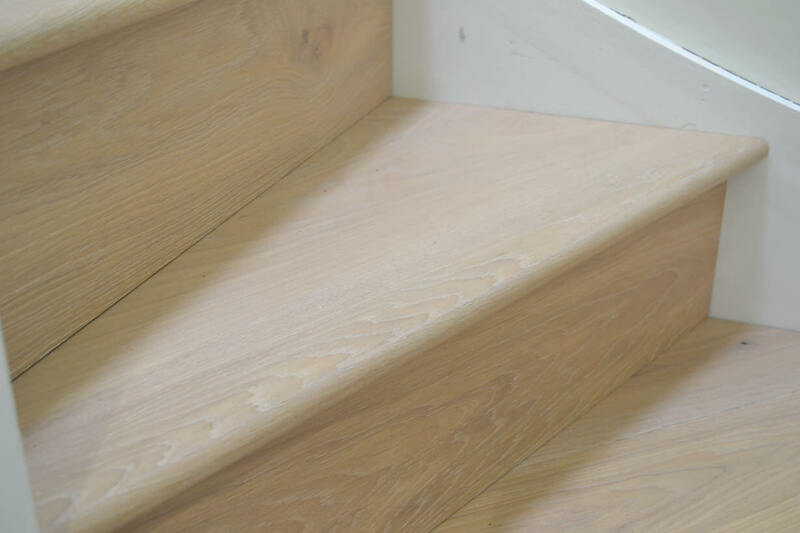 All floors would be the same colour, Brushed Washed Oak. 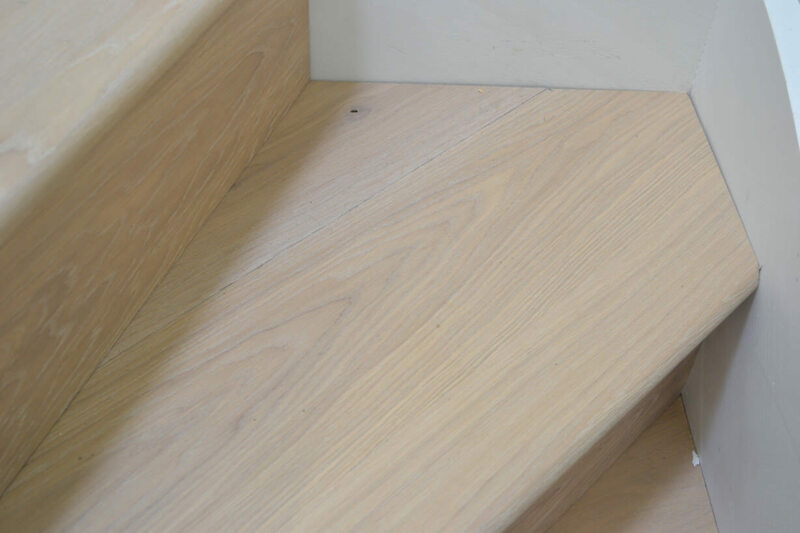 This light wood flooring looks fantastic and is very hard wearing. 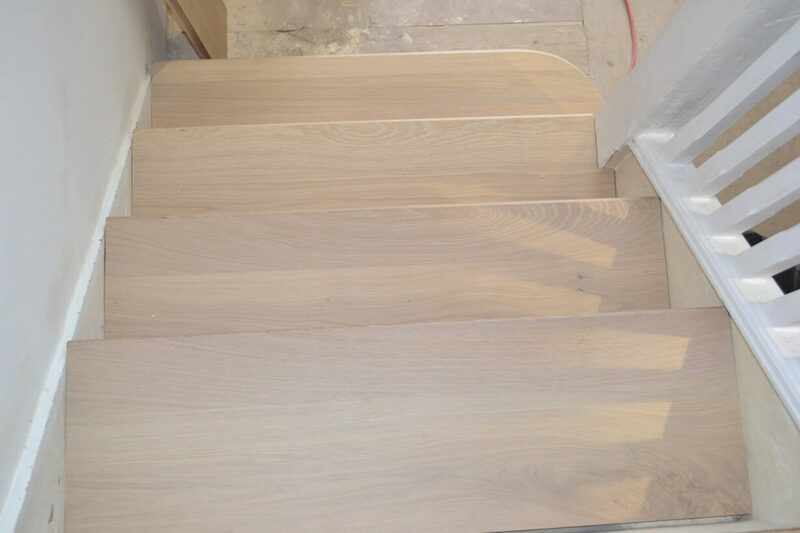 It would have looked strange for the staircases not to match the new flooring so it was decided that we would clad the original staircase n engineered oak flooring to match. 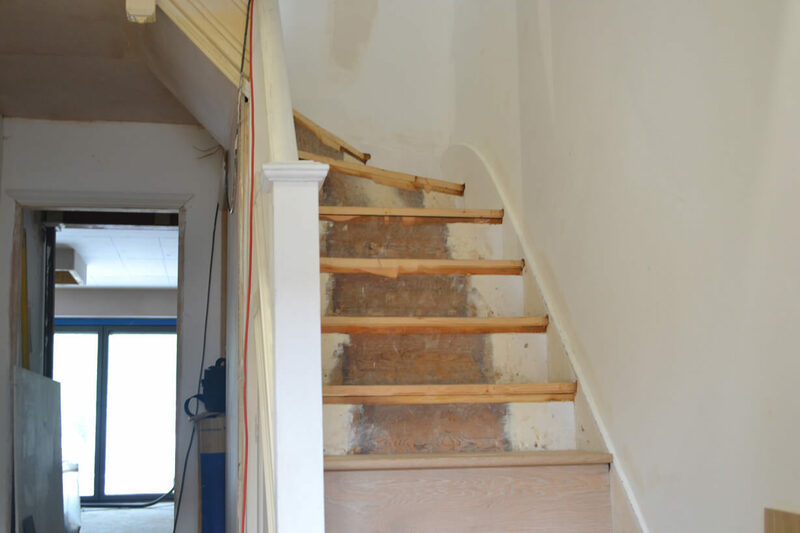 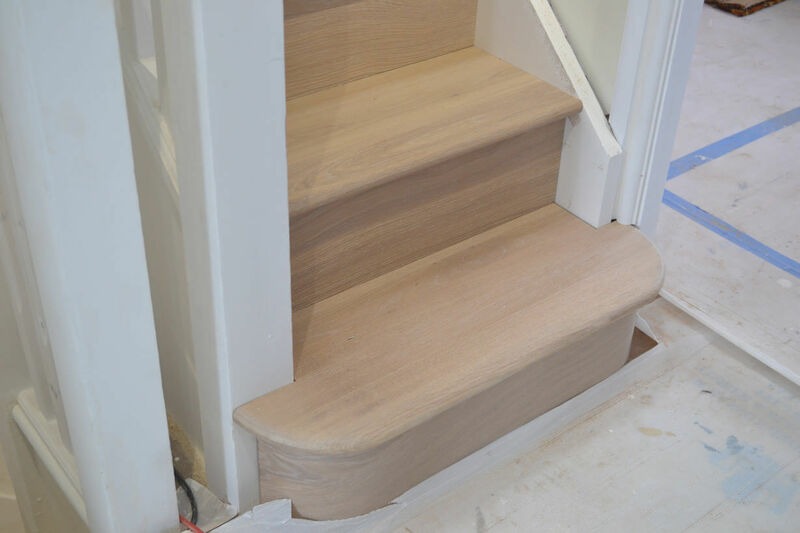 We used our seamless stair treads on this staircase for the best look. 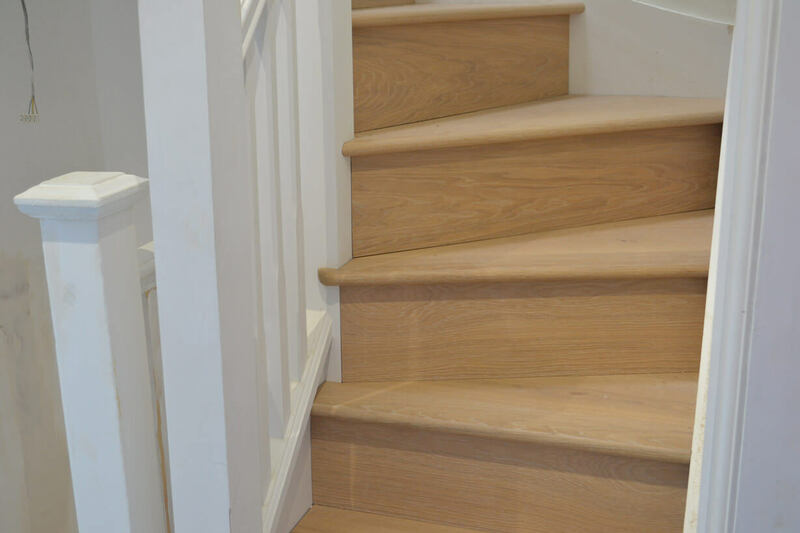 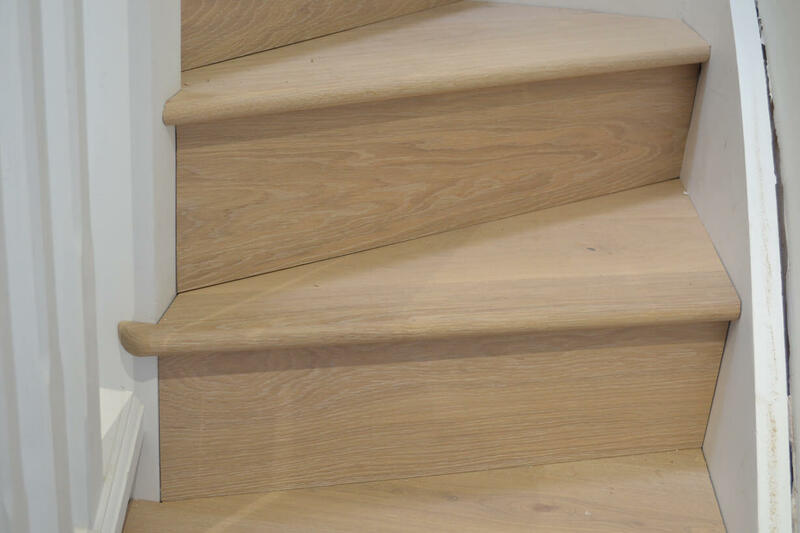 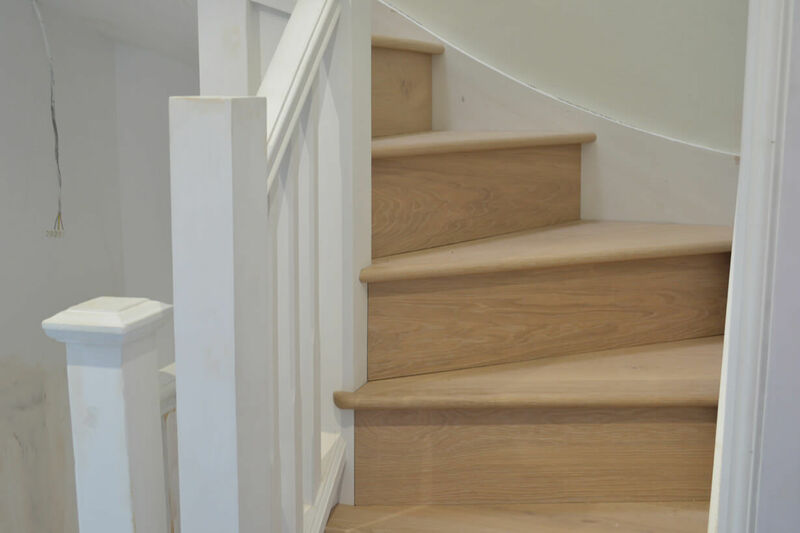 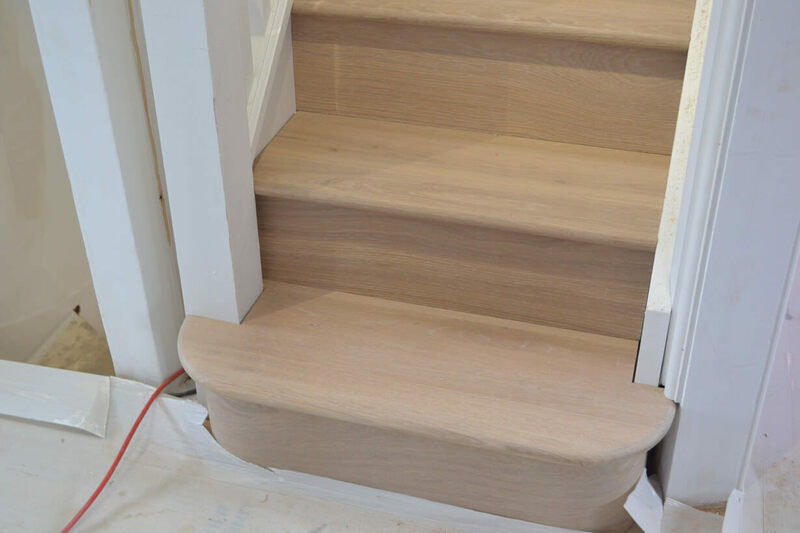 Our seamless stair treads are made with a European Oak Nosing glued onto a European Oak Engineered Board. 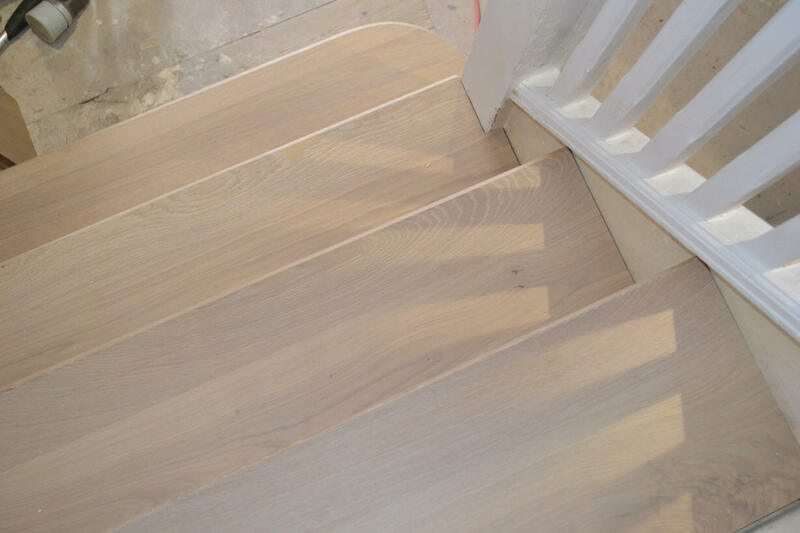 The grains are matched to ensure the two pieces of Oak blend seamlessly after they have been finished using the same techniques as the rest of the light wood flooring. 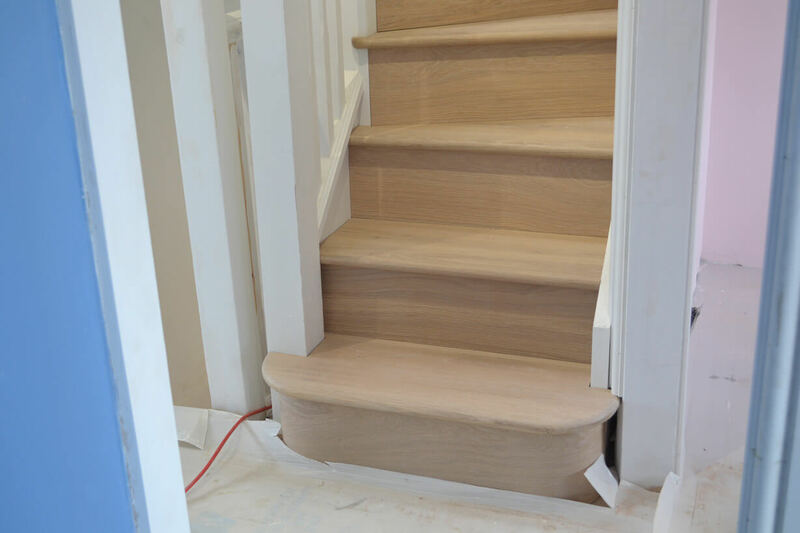 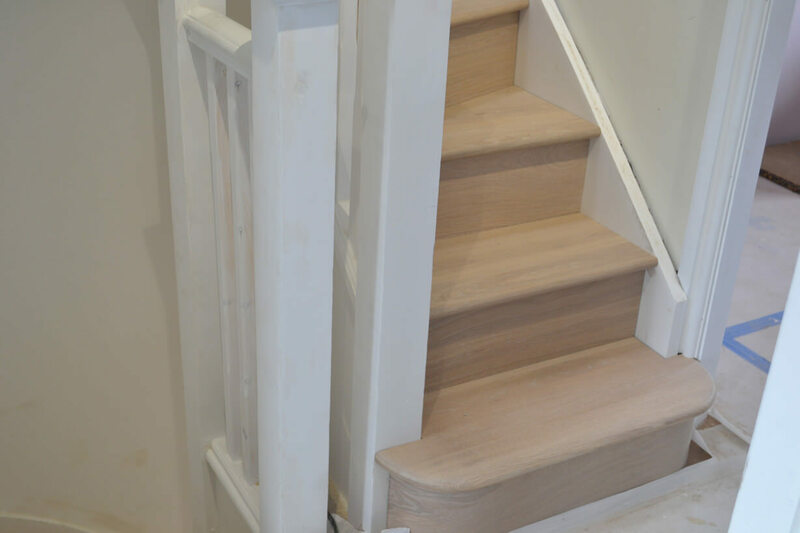 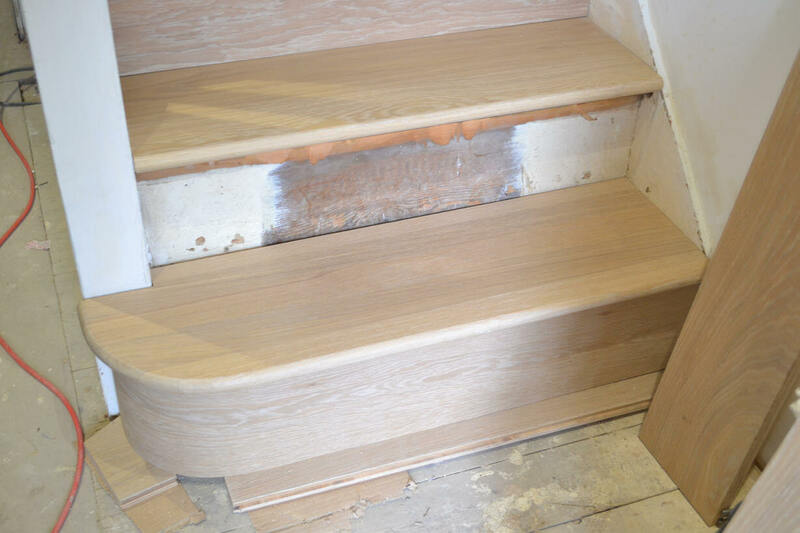 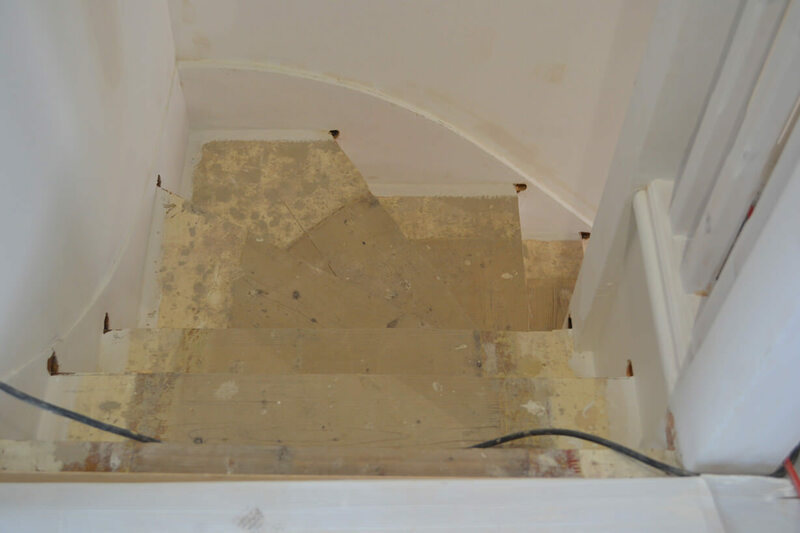 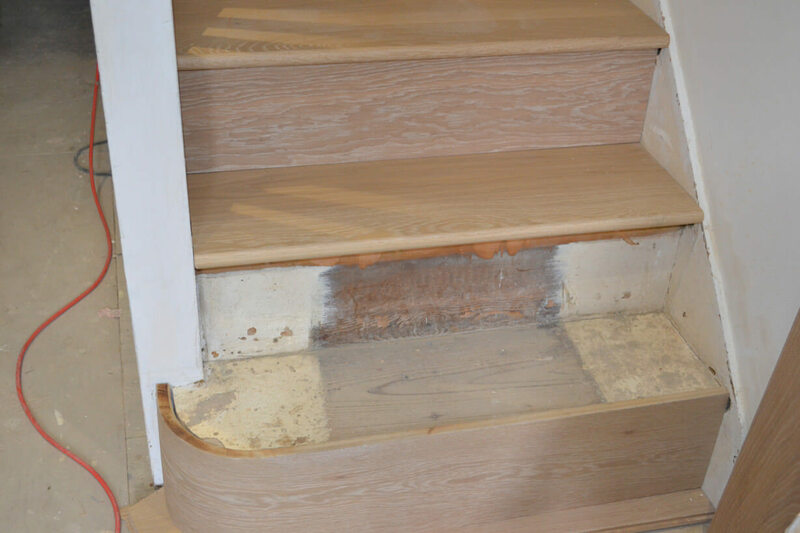 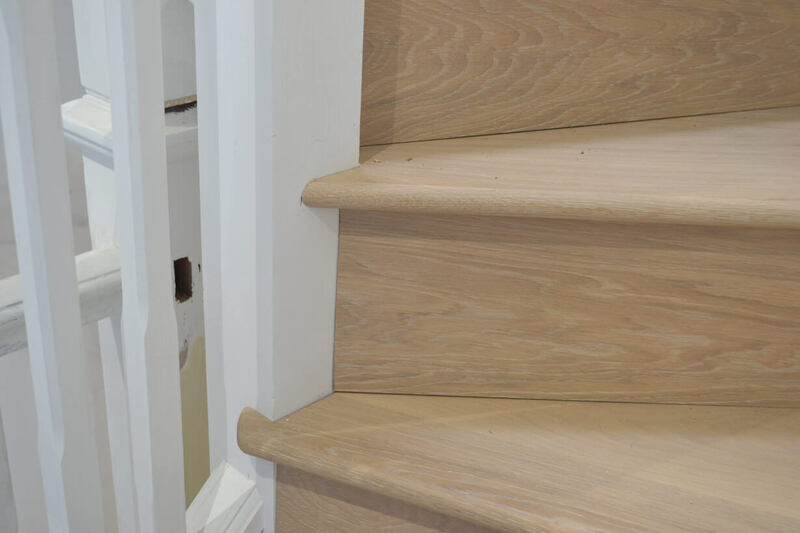 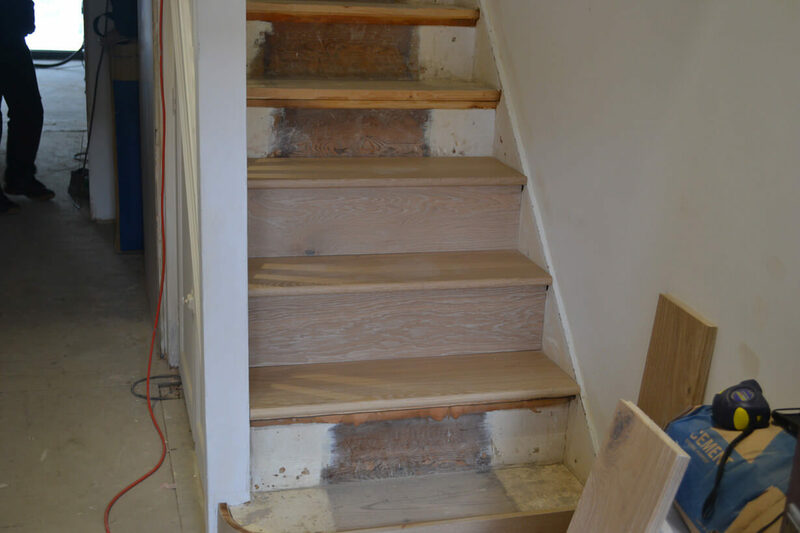 This process means that the staircase looks as if it is constructed out of solid pieces of Oak but at a substantially reduced cost. 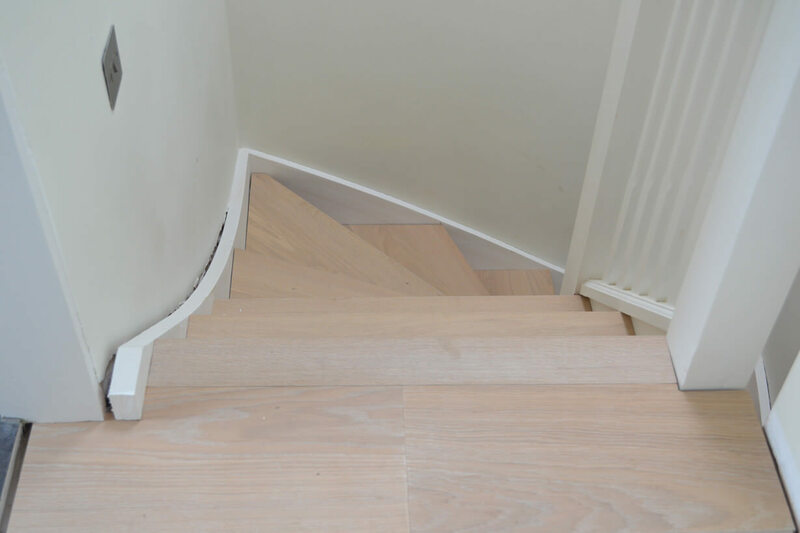 It was decided that 260 mm wide boards would be used on the ground floor and 220 mm wide on the first floor and in the loft conversion. 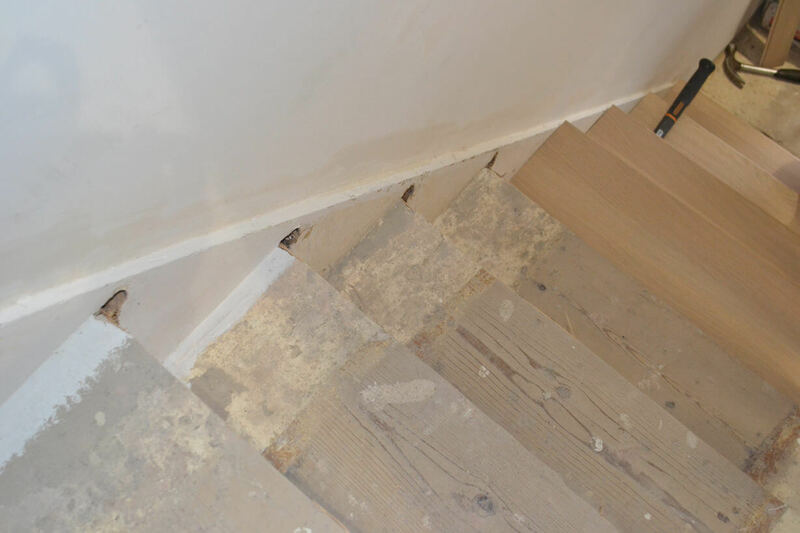 All the flooring was 21 mm thick.